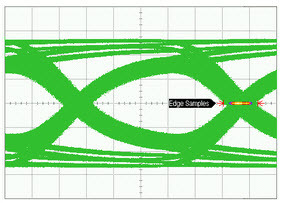 Employing equalization techniques is an effective way of compensating for channel loss in JESD204B high speed serial interfaces for data converters. 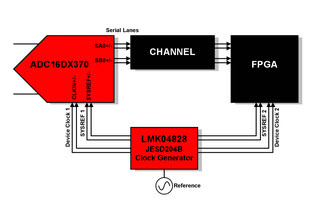 This reference design features the ADC16DX370, a dual 16-bit, 370 MSPS analog-to-digital converter (ADC) that utilizes de-emphasis equalization to prepare the 7.4 Gbps serial data for transmission. Configuration allows a user to optimize the de-emphasis setting (DEM) and output voltage swing setting (VOD) of the output driver to inversely match the characteristics of the channel. 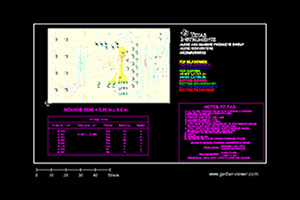 Experiments demonstrate the reception of a clean data eye over 20” of FR-4 material at the full data rate.